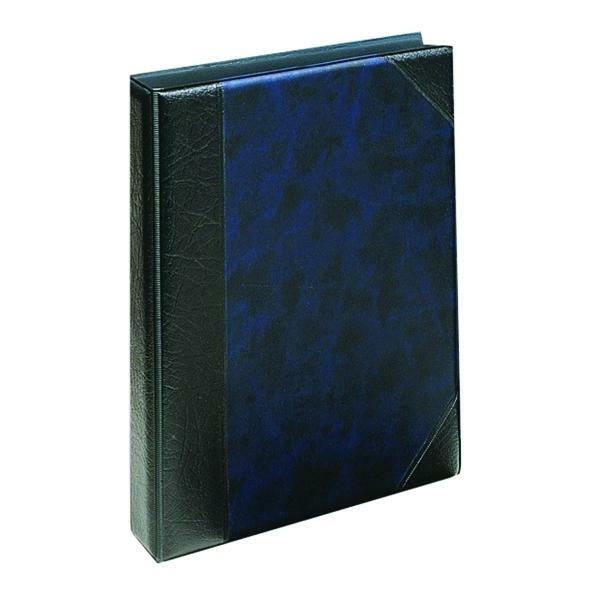 This high quality Guildhall A5 address book has a stylish and professional blue padded cover to keep your contacts secure and protected. The loose leaf address book comes with 30 separate pages, each ruled for name, address, telephone and fax numbers for easy organisation. A rigid A-Z index allows you to find the contact you are looking for quickly and efficiently, while a convenient A4 binder with D-ring mechanism allows you to add more pages.